Stephen Harper, the Prime Minister of Canada, likes cats. That is very admirable. I am less admiring of many of Mr. Harper’s policies, unfortunately. But then, I do not believe in the politics of hatred. It is possible to disagree with a politician and his decisions without declaring him an enemy of the nation or worse yet, attacking him personally. 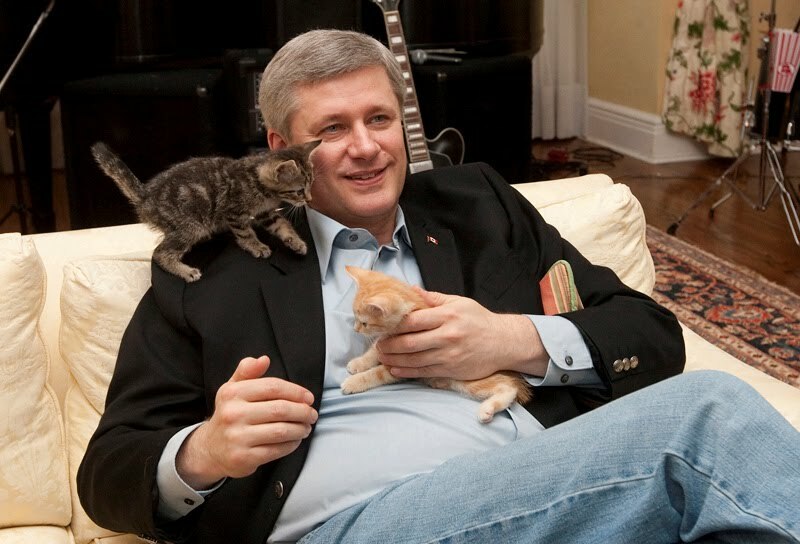 But then… Stephen Harper likes cats. So one day, my wife and I thought that perhaps he can atone for his sins by adopting more cats? And thus, the idea of this site was born. It is very simple, really. The moderator (that would be me) will add posts detailing some of Mr. Harper’s political sins. 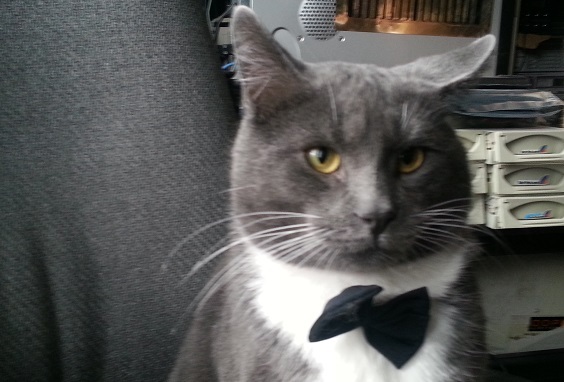 Registered readers can comment and also rank issues by assigning a number of cats to them. The moderator (again, that would be me) will maintain a running tally. That’s all. In the end, we all win. Some cats that are badly in need of adoption will get a new home. 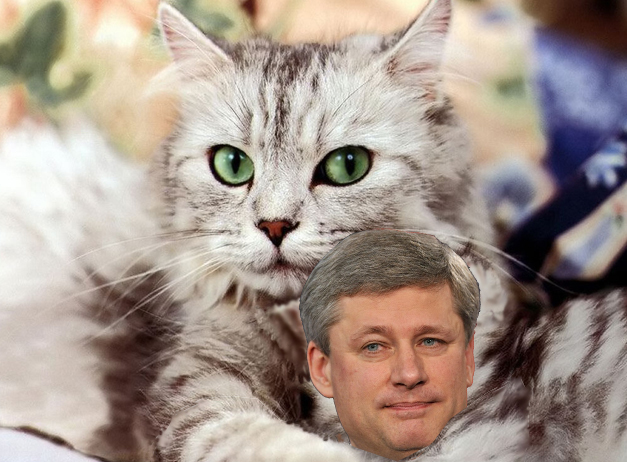 Mr. Harper will get many more cats. As for the rest of us, who knows, we might even get a better government! Please note that in order to comment or rate a post (with cats, of course) you need to register. This exists mainly as a precaution against comment spam and clickbots: This Web site is not intended to sell you anything, and e-mail addresses will not be harvested. Below is a summary of the number of cats Mr. Harper will need to adopt to atone for the political sins of his government. We hope that Mr. Harper finds it in his heart to establish a cat sanctuary for (at least) 152.25 cats after he retires from politics. We thank him in advance for being kind to our feline friends. Here are some frequently asked questions and answers. OK, the site being new, these questions haven’t exactly been asked yet, but I expect they might be. What the devil is this? Please read Cats for Harper. How can I vote? You have to register first, and then click on the cats. Where is my password e-mail? Some users reported that the e-mail ended up in their Spam folder. How many times can I vote? Once per each post. There are only a few topics. What about Harper’s other sins? Don’t worry, more topics are added every few days. Can I add topics? No, only the moderator can add topics. How can I comment? You have to register first. Anonymous comments are presently enabled, but depending on the level of spam, it may be necessary to disable them. I would like to see topic X added; what do I do? Chances are the topic is already on our TODO list, but don’t hesitate to send us e-mail (my e-mail address is vttoth – at – vttoth.com). Is this part of a political campaign? Not really. While I certainly would like to see a change in government, I am not affiliated with any campaign or party, and I have voted Conservative in the past. Who runs this site? My name is Viktor Toth. I am not affiliated with any political party. This is a personal project.